Harold Perrineau is an American actor best recognized for the role of Michael Dawson on the TV series Lost, Augustus Hill on the TV series Oz, and Mercutio in Romeo + Juliet has an estimated net worth of $7 million. 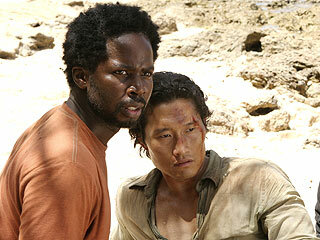 Harold Perrineau was born on August 7, 1963 in Brooklyn, New York. He attended Shenandoah University, but never finished his degree. He is currently married to his wife Brittany, with whom he has three children named Aurora, Wynter Aria, and Holiday Grace. Perrineau is also noted for his appearance on The Unusuals, a comedy-drama TV series on ABC where he played the role of Leo Banks, a homicide detective at NYPD. In addition to that, he has also appeared on other notable shows such as Zero Dark Thirty, Sons of Anarchy, The Edge, 28 Weeks Later, The Best Man, and 30 Days of Night: Dark Days. In 2013, he appeared on Law & Order: Special Victims Unit as Brian Tremore. He will also be appearing on Growing Up Fisher as Fred. The below financial data is gathered and compiled by TheRichest analysts team to give you a better understanding of Harold Perrineau Net Worth by breaking down the most relevant financial events such as yearly salaries, contracts, earn outs, endorsements, stock ownership and much more.